Fast cars, social gatherings, road races; street racing 100 years ago probably wasn’t that different for the guys that participated than it is for the swarms of teens and 20-somethings that race today. In 1915, swarms of a different generation gathered in Bridgehampton with their homemade and modified cars for street races that were part of the summer carnival. Racers traveled down Main Street, south on Halsey Lane, east on Pauls Lane and back up Ocean Avenue. The races evolved until by the 1950s Bridgehampton was known throughout the world for its racing and European cars were reaching speeds of more than 100mph on the area’s streets. Briggs Cunningham, Tommy Cole, George Huntoon, Freddie Walker, Dave Garroway were just a few of the big names that came to Bridgehampton. But in 1953, street racing was outlawed in New York state. “There was a big accident upstate and that was the end of it,” Guy Frost of the Bridgehampton Racing Heritage Group said. The racing moved to the Bridge Race Track in 1957 and stayed there for 35 years until community pressure to end the racing changed the 500 acres the racetrack sat on into a golf course. 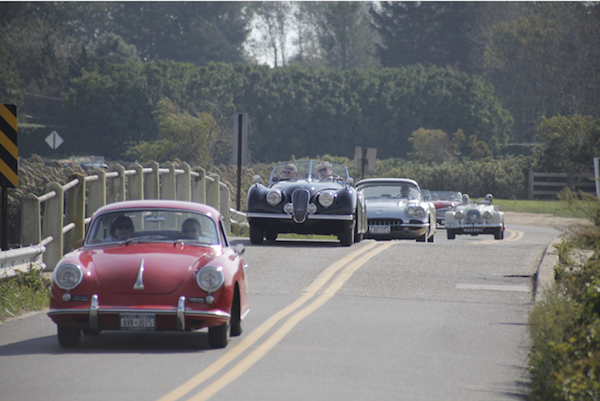 In 1993, the Bridgehampton Racing Heritage Group and the Bridgehampton Historical Society organized a vintage sports car road to commemorate the hamlet’s racing history. For the past 21 years the rally has taken a tour throughout the Bridgehampton community stopping at historic sites. But the rally allowed only cars that had competed in the original Bridgehampton road races to participate. 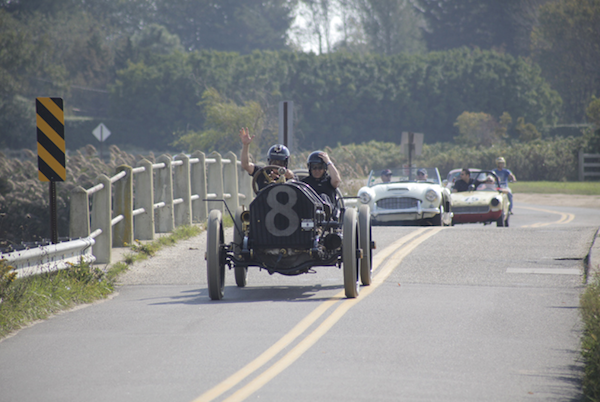 This year the rally takes place on Saturday, Oct. 11 and the Bridgehampton Museum will welcome all cars with a racing heritage to participate in the annual auto rally events. Age limitations, Frost said were lifted for the first time in recognition of “The Bridge” as a significant contribution to auto sports. “We want to build excitement around the event,” Frost said, adding that the rally will include all kinds of cars. In addition to the rally, vehicles will be on display beginning at 9am where the public will be available to see them and interview the drivers and look at the artifacts from street racing. “You can get close to them, appreciate them, talk to the drivers and the mechanics,” Frost said.